You definitely have to include this in your travel list! Planning your next solo trip? Why not visit Taiwan? Whether you’re looking for a new soul-searching opportunity, or you just want to relive your Meteor Garden fangirl dreams, Taipei has recently become the next hotspot for traveling Pinays. Here we list several things that might just convince you to travel to the city dubbed as “the emporium without end”. 1. Taipei is now visa-free for Filipinos. Worried about visa arrangements? In October 2016, Taiwan announced its visa-free entry policy to Philippine passport holders provided that travelers have been previously granted visa to selected countries. If you’ve been to the U.S., U.K., Australia, Canda, Japan, Korea, New Zealand and other Schengen countries, you can pretty much stay in Taiwan for 30 days starting your arrival. All you have to do is apply for an ROC Travel Authorization Certificate online! Click here to learn more about the online application process. 2. Taipei has ~*great*~ weather. Between the months of October to February, Taipei’s autumn season provides an amazing background to your OOTD photos sans the sweaty pits that come with touring. It’s definitely not as cold as Korea during these months, so you’ll still feel cool through out the day with temperatures averaging at mid 20 degrees Celsius. 3. 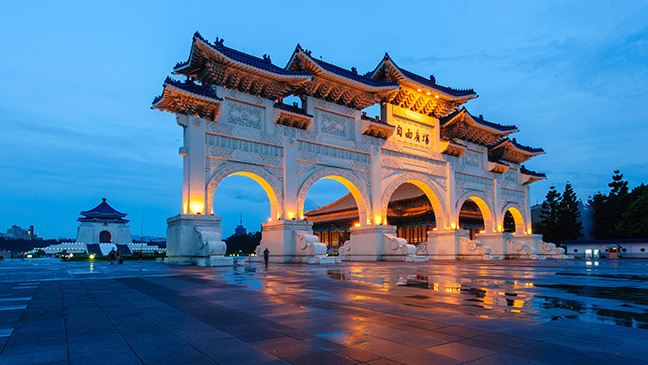 You’ll find many cultural and historical discoveries in Taipei City. You won’t always find a metropolitan area that allows culture and modernization to blend seamlessly together. You’ll find landmarks like the Taipei 101 which was formerly known as the Taipei World Financial Center. It’s composed of 101 floors above ground and provides a 360 degree view of Taipei. Then there are culturally rich places like the Chiang Kai-shek Memorial Hall Park where the Republic of China’s flag is raised every morning. It has a museum, a bronze statue of their former president Chiang Kai-shek, Chinese style ponds, and gardens where people could practice martial arts. It even has its own train station! If historical landmarks are more up your alley, you can also visit the Sun Yat-sen Memorial Hall to learn the life of China’s founding father, Dr. Sun Yat-Sen. It is fronted by the Zhingshan Park and exhibition halls and libraries that display contemporary art and various historical articles. 4. The shopping and dining experience is ~*glorious*~. Up for some fashion and pasalubong shopping? Taipei’s Shillin Night Market is considered the largest and most famous market in Taipei. 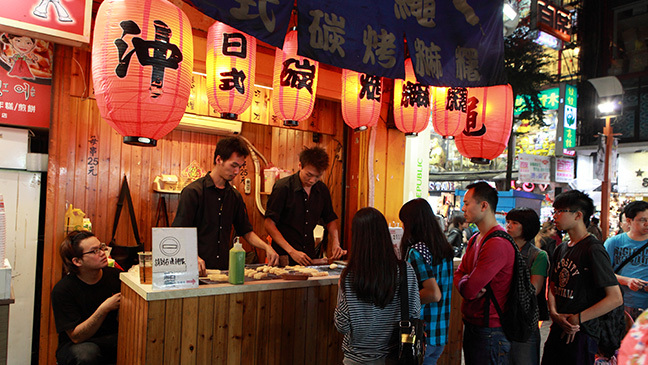 It houses more than 500 food stalls and funky shops that sell traditional and modern Taiwanese cultural pieces. You can also visit East Taipei, which is the city’s main shopping area and is conveniently located at the heart of Taipei. It houses famous local restaurants like Din Tai Fung and 688 Beef Noodle along with small shops and boutiques for artifacts and handicrafts. 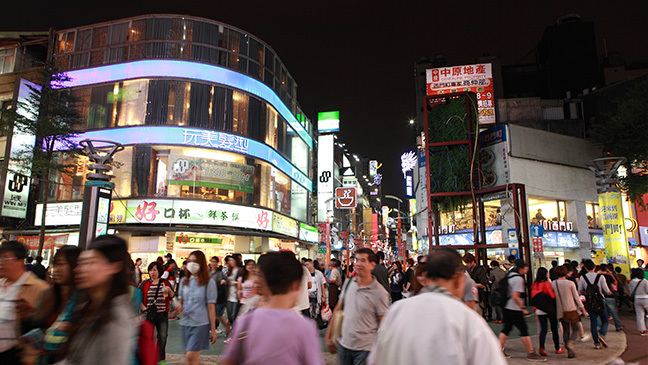 Ximending Shibuya, also known as Taipei's most fashionable shopping district, is the best place to go if you’re looking to upgrade your wardrobe. They have a wide selection of fashionable clothing inspired by Japanese, Chinese, and Western culture. 5. The city is super safe and easy to travel to! Aside from the fact that you’ll easily find English speakers in Taipei to ask for directions, a lot of tourists have agreed that the city is one of the safest places to be in. At night, they have Safe zones for women and children that features heavy surveillance in subway stations. Compared to Hong Kong, Taipei is also one of the easiest cities to navigate. The address system is very logical, and pretty much like how we do it here in the Philippines. All bus routes are displayed in English and you can pretty much go around by both bus and train using an EasyCard, a value added smart card that you can use in Taipei’s major transport system. To get to Taiwan’s bustling city, Air Asia has three weekly flights from Cebu and daily flights from Manila that you can book directly from the Air Asia mobile app! The app connects you to over 100 destinations across Asia so you can easily plan your next big adventure in a few taps! Get updated with AirAsia’s latest promos on Twitter, Facebook, Instagram, and Viber public chat (@AirAsiaPH). You can also book your tickets now here.